Today is officially Black Friday, the busiest shopping day of the year since 2005. 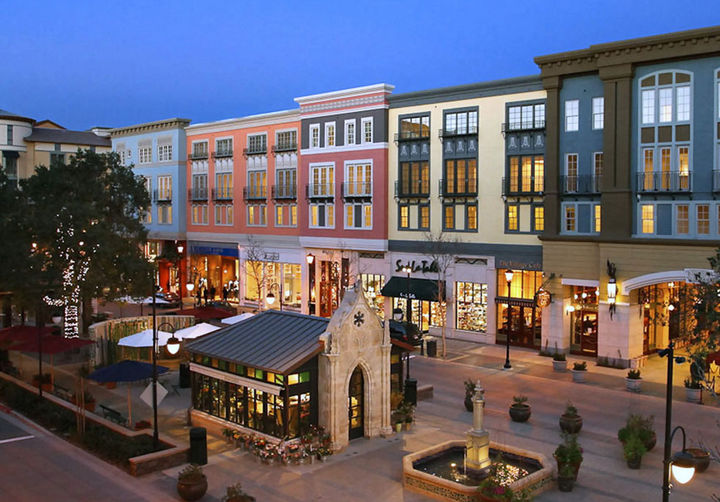 To ensure your shopping tax dollars stay in San Jose this year, head over to Santana Row. There is long list of promotions today, some of which you can find below. The best part is that you won't have to wake up super early! San Jose, CA - The day-after-Thanksgiving shopping tradition at Santana Row begins early with deals and door busters and continues throughout the day with specials and holiday treats. In addition, Santana Row will be the South Bay location for the annual One Warm Coat drive to provide new or gently used coats to those who are in need. You are invited to drop off coats all day on Black Friday in Santana Row Park (across from Left Bank brasserie). After Black Friday coats can be dropped off at the Santana Row Concierge or CineArts Theatre lobby through Dec. 31. KTVU/Fox Channel 2 will broadcast live in front of the 40-foot Christmas tree during the evening of Black Friday. Santana Row merchants and eateries are offering one-day-only discounts, giveaways and samplings to shoppers. A few are listed below. Please visit www.SantanaRow.com for detailed information. Sephora – Open at 9 a.m. Exclusive specialty items available for just $10! H&M - Opens 9 a.m. Black Friday Scratch offs offering percentages off purchases! Drybar - Opens 7 a.m. Enjoy 20% off all products and hot tools. lululemon athletica – Opens 9 a.m. with markdowns and specials. Maido – Opens 9 a.m. 10% off purchases on Friday, Saturday and Sunday; 20% back (quadruple points) on Fivestars cards and $5 gift card for every $25 dollars spent, valid for December. Icebreaker TouchLab - Black Friday door busters include “Buy 3, Get 4th item free. Includes of any combination of underwear, socks and accessories. W's Salon - Enjoy 20% off all hair care products and $45 blowouts all day. Beau Bijou - Opens 8 a.m. with 50% off the entire store. 100% Pure - “Buy More, Save More” deals mean getting 20 - 30% off. Kara's Cupcakes - Celebrates the season and take a break with samplings of hot cocoa and marshmallows all day. BoConcept – Scratch and save means savings of up to 30% on collections. Calypso St. Barth – 60% off of sale items and 30% off full price products; some exclusions apply. Donald J. Pliner – Opens 9 a.m. $100 off all boots, all day! The Counter - Happy hour with select starters and drinks from 11 a.m. to midnight. General hours on Black Friday for Santana Row stores are 9 a.m. to 10 p.m. but many stores opening early or extending hours during the weekend. For a comprehensive listing of retail and restaurant events and offerings, visit SantanaRow.com. Drop off a letter to Santa at SantanaRow and you’ll get a letter back! Every child who leaves a letter for Santa in the mailbox outside of the Santana Row concierge office will receive a reply from the red-clad, jolly fellow! Each letter must include the child’s name and a mailing address. The letters must be dropped in the box by Dec. 10. Concierge is located near the garage between Sino restaurant and Left Bank Brasserie. Christmas Eve: 9 a.m. to 6 p.m.
New Year’s Eve & New Year’s Day: 10 a.m. to 6 p.m. It is a widely mistaken quote that Black Friday is the busiest shopping day of the year. The statistics just don't bear it out. It doesn't even come close. The Saturday and week before Christmas is always the busiest of the year. Fact check.